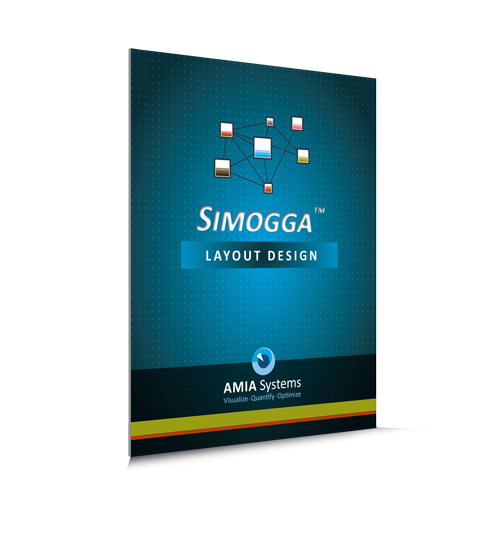 SIMOGGA Layout Design is a unique graphical material handling system that optimizes factory layout design based on global flow analysis. SIMOGGA guides the users through the process of improvement, but does not replace them. Its development has been collected during many years, based on the knowledge and experience of plant managers, operators and other key players in the improvement process. The unique value of the SIMOGGA software is based on its capability to visualize, quantify and optimize a factory layout. The possibility to combine the visualization and quantification of the whole change process with the necessary interactivity allows SIMOGGA to accelerate change by getting all stakeholders aligned. SIMOGGA provides a global analysis of all traffic and material flows. The goal of this analysis is to optimize these flows (which will result in higher productivity and flexibility of the whole production process) and provide traceability for quality and certification purposes. If you would like to have more information or understand how to fully solve a case with SIMOGGA; we recommend you to watch one of our video tutorials. In the showcased video, we describe the process used to design the factory in the tool and to reorganize the layout in the most optimal way. We also show the numerous options available to analyze your production and to enhance the overall workflow of your plant. Multiple types of license are available (fixed, floating, renting by token or period). If you want more information about one of these options or if you are interested in using the advantages of our solutions, please do not hesitate to contact us either by e-mail or by phone. It would be our pleasure to have a talk with you about how we would be able to help.